These cards are a missions project for the ministry in Asia. 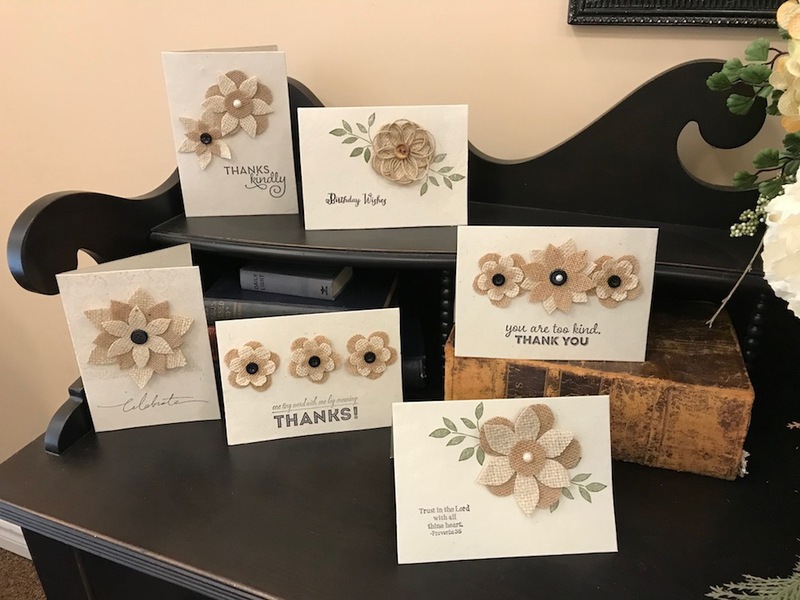 Some of the National women make very needed income at home by supplying the materials for these beautiful Burlap Flower Cards. The card is made entirely of local handmade paper. The designs and flowers are burlap and also made by the ladies. All proceeds go to the women who make the cards. The paper imprinting and distribution in Canada and the States is done by volunteers. Set of five assorted cards. Includes hand made envelopes made by the National women. Be sure to click on the image above to see an enlarged photo.